Yesterday we saw the new TouchWiz UX user interface for the Samsung Galaxy Tab 10.1, which is the first custom UI for an Android Honeycomb tablet, and Samsung have now released the TouchWiz UX user interface as an over the air update. The new TouchWiz UX upadet brings a range of new features to the Samsung Galaxy Tab 10.1, icnluding new widgets, and a range of preloaded applications which include Amazon Music Cloud Player, Amazon Kindle, and Words With Friends from Zynga, and Samsung has also added in some enterprise solutions and services. The update also adds in enterprise support for the Galaxy Tab 10.1, which includes support for Exchange ActiveSync to the Galaxy Tab 10.1 as well as on device encryption, Visco VPN, Sybase MDM and Cisco webEx mobile conferencing. 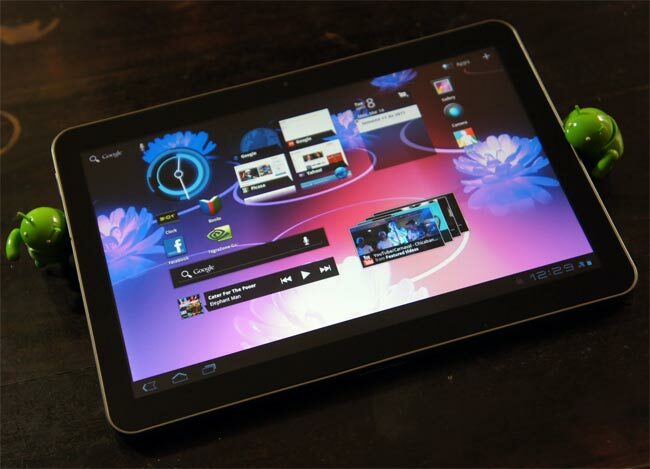 The Samsung Galaxy Tab 10.1 TouchWiz UX update is now available as an OTA update and the download is 188MB.